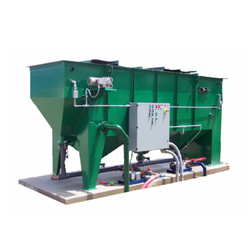 We offer a broad spectrum of packaged effluent treatment systems to handle domestic and industrial effluents small and medium industries. Standard modules facilitate a shorter delivery period. The completely pre engineered units require very less civil works and can be erected and commissioned in a short time span. The pre fabricated units are independent of site location (i.e.) in places where there is space constraint or cost of space is very high, these units can be located either on the top of the building, structures or in the basement. 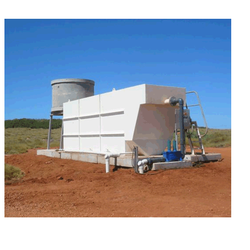 We offer a broad spectrum of packaged effluent treatment systems to handle domestic and industrial effluents small and medium industries. Standard modules facilitate a shorter delivery period. 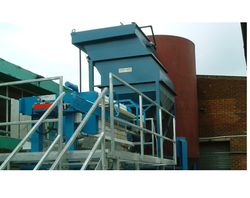 The completely pre-engineered units require very less civil works and can be erected and commissioned in a short time span. The prefabricated units are independent of site location (i.e.) in places where there is space constraint or cost of space is very high, these units can be located either on the top of the building, structures or in the basement. 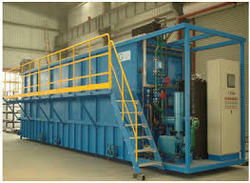 Looking for COMPACT EFFLUENT TREATMENT PLANTS ?